The VA Scandal is still fairly fresh in most American’s minds. There were ridiculously long waiting periods for care, and our veterans have been delayed care literally to death. When we consider that only 1% of our population protects the nation from “all enemies, foreign and domestic”, it seems like a tremendous betrayal. I don’t use the VA system, but I am a veteran, and very little galls me more than knowing our government is breaking its promises. Every veteran that has been injured by the VA deserves much better. Today, I got to have a first-hand look. I drove today for a veteran who was going to the VA for an eye exam and would have eyes dilated. I was available to drive back to our home city, so I took the opportunity to see what everyone was talking about with the VA. When I watch news reports that are so upsetting, it makes me passionate to try to help the cause: CBS – VA Healthcare Scandal (CBS News). 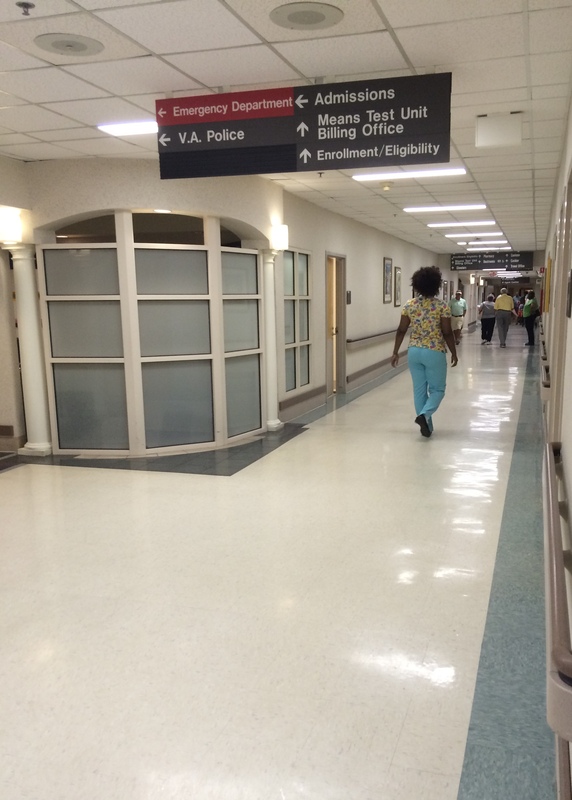 I prayed this morning for a good attitude as we faced spending a day with the VA. Older vets walk long distances in the heat. 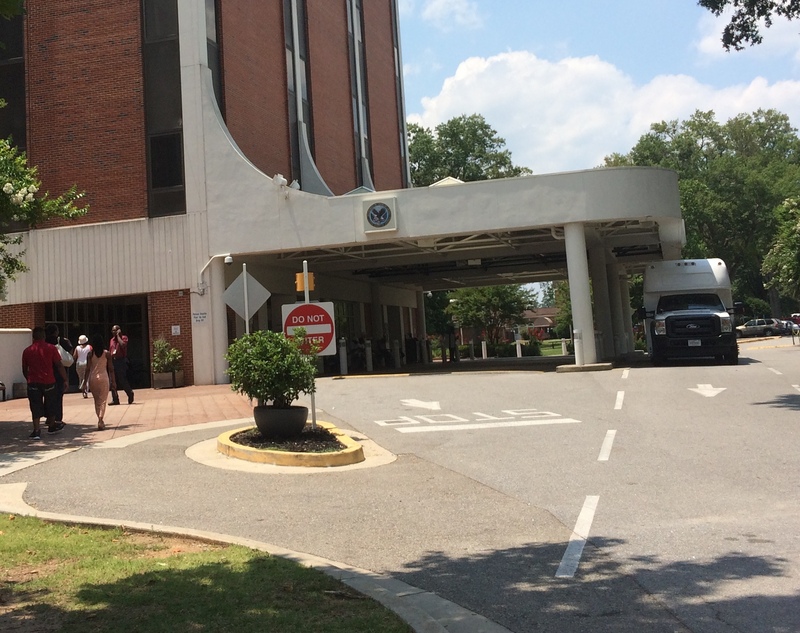 As we drove into the parking lot for the VA, it was painfully obvious that the demands on the system are great. 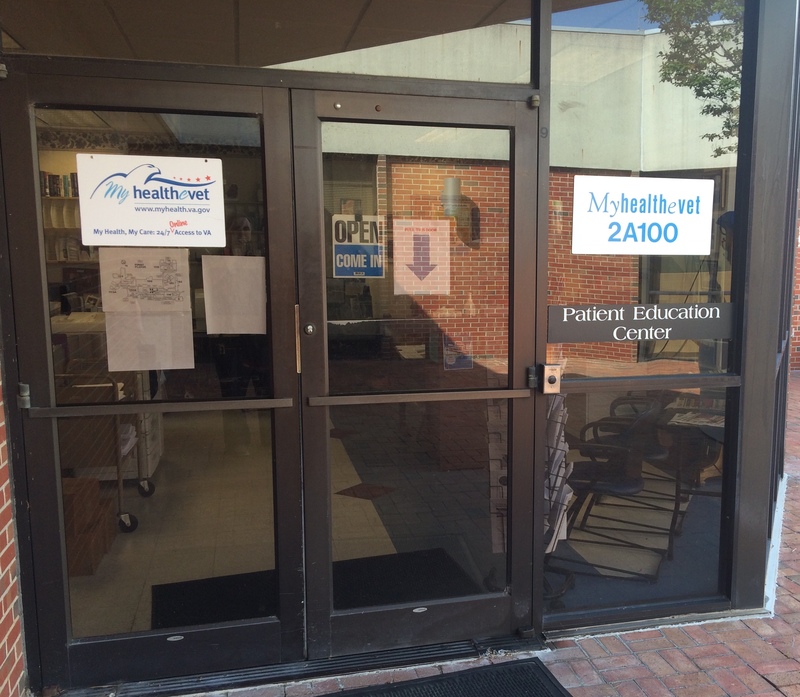 There are too few services available in many states; South Carolina is no different. The first thing I didn’t find was adequate parking. There was valet parking if you planned far enough ahead to take advantage of it. Still, you have very old disabled veterans that have to struggle their way in from distant parking lots to get care. 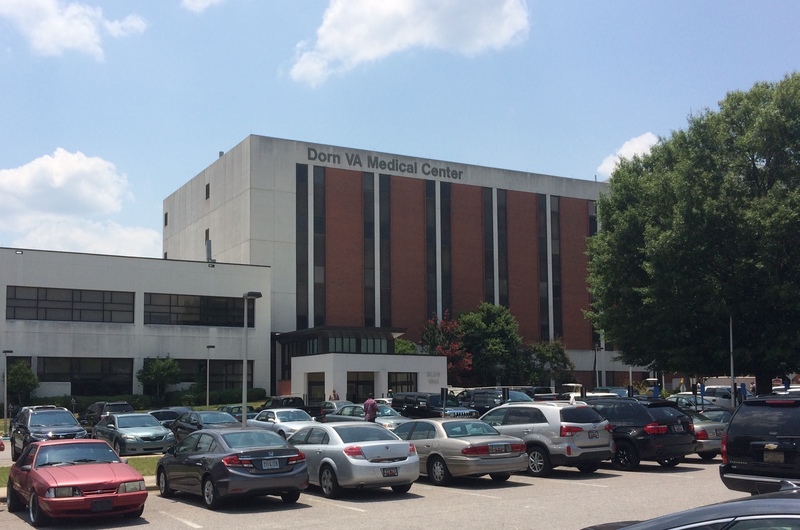 Dorn VA Hospital in Columbia desperately needs a shady, breezy, multi-story parking garage with elevators. Having been to many military hospitals while I was on active duty, I expected to see frustrated patients and disinterested bureaucratic employees slogging away on ancient computer systems. I was surprised by what I didn’t find. The second thing I didn’t find was inept service from the administrative staff. 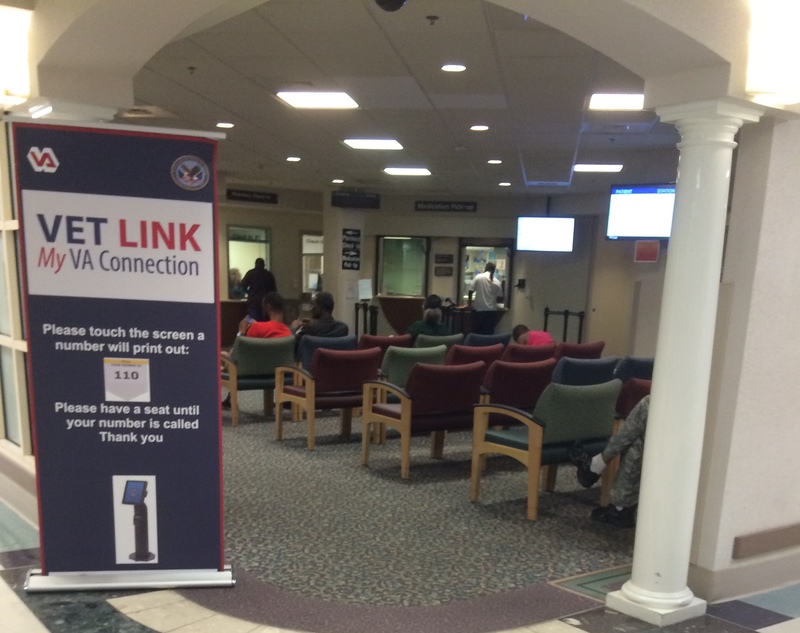 Within the last two years, the VA has introduced sweeping technology changes to improve customer service. 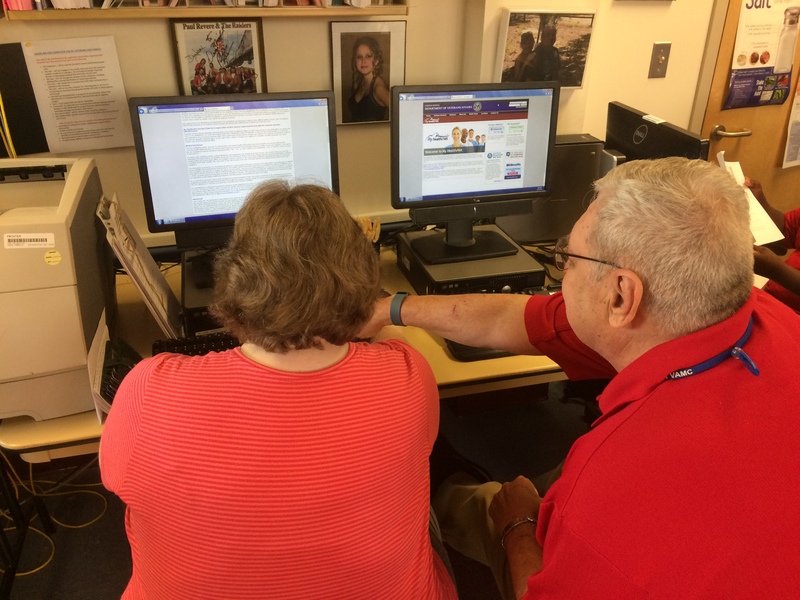 Veteran’s records are now being done online, and the VA is teaching veterans how to access their records when they come for their medical appointments. Attentive administrators and motivated volunteers staffed the veteran’s training office. The third thing I didn’t find was overwhelmed but well-meaning volunteers. The volunteers I encountered were well trained and on their toes. They rolled up their sleeves and dug right in to quickly training the veterans, and moving the traffic quickly so no line had time to form. One volunteer that I encountered, Coleman Culbertson, is a high-school student investing his second summer with the VA. He told me, “I love it! It feels good to do, and I put in about 200-hours per year.” Instead of a summer of video games or spending the day at the pool, Coleman was getting volunteer experience for his college application resume. 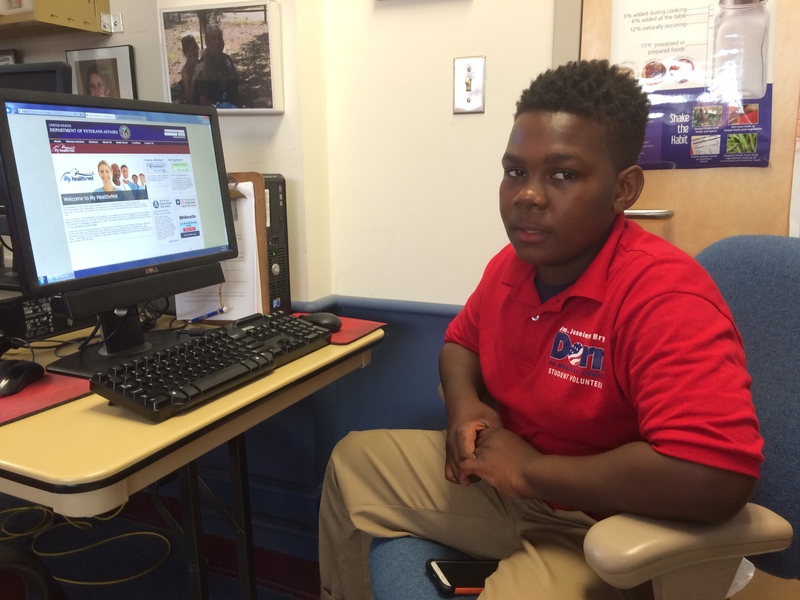 He shared, “A lot of veterans come in, and they can’t type, so I do the typing.” I appreciated just getting to know a really great young man. their appointment on a touch-screen kiosk and bypasses the line altogether. This was smarter time-management than the civilian hospitals I use, so I was impressed. It made me very curious how all of this new technology was affecting the veterans. I saw plenty of veterans getting it, and none seemed to need any help. The automated systems handled the vast majority of the veterans I saw, leaving the halls free of lines and waiting areas relatively empty. At 10:00 in the morning at a VA hospital, the fifth thing I didn’t find was a crowded pharmacy waiting room; impressed again. The sixth thing I didn’t find was a long wait for the appointment. The veteran I was with waited 5-minutes, and then an ophthalmologist-in-training came to the waiting room, called the veteran’s name, greeted us enthusiastically and introduced herself as Nicole. 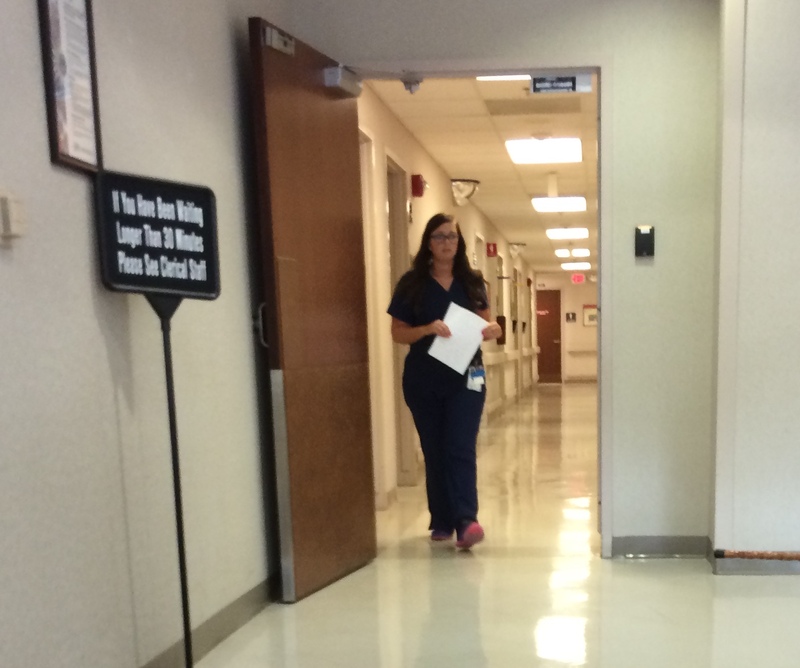 She led us right back to the examination room and helped the veteran into the examination chair. The seventh thing I didn’t find was incompetence. Nicole obviously knew exactly what she was doing as she went through a very thorough eye exam. Her personable manner eased the tense moments of using uncomfortable positioning and stinging eye drops. The eighth thing I didn’t see was a lack of supervision. 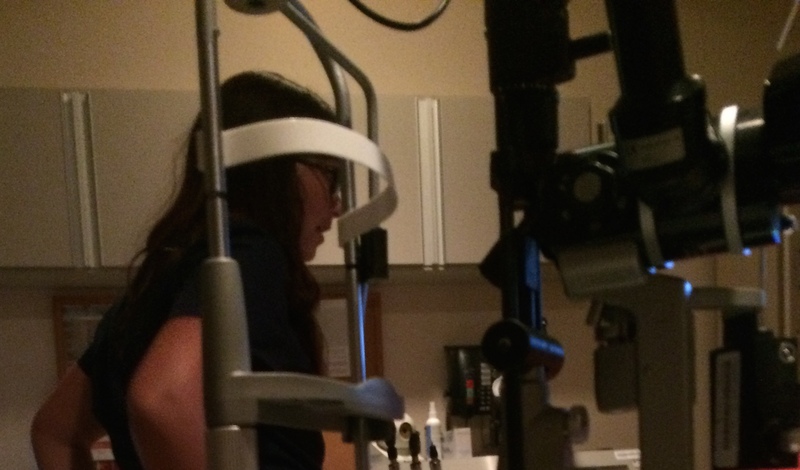 Shortly after Nicole did the preliminary exam, the ophthalmologist came into the exam room and checked behind Nicole. Not only did the veteran get excellent care, the hospital is a teaching hospital giving birth to new medical careers around the nation. The veteran received a complete explanation of the results of the exam, a prescription went into the automated system, and the veteran’s optometry was already waiting at a nearby hall to pick out the frames for the glasses. 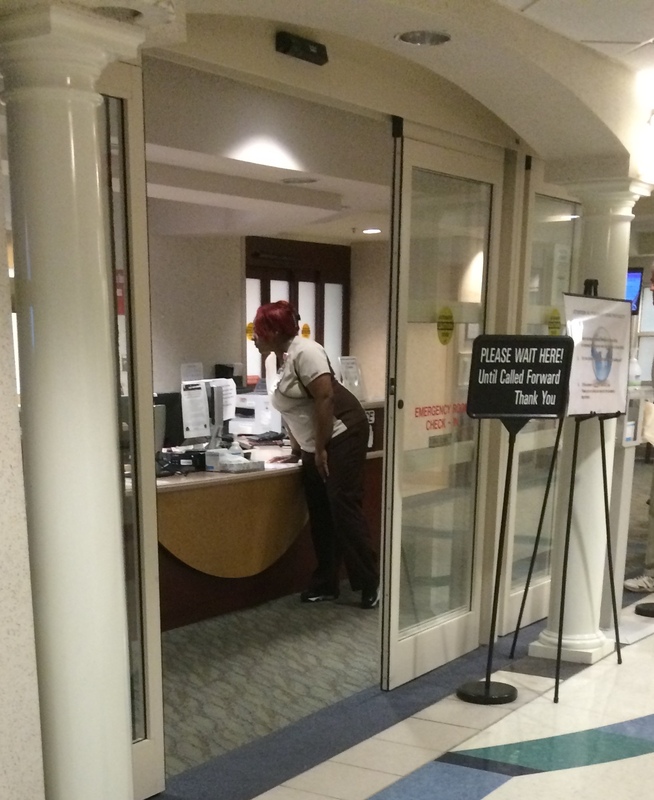 It took less than 1 ½ hours, from sign in to sign out at the hospital. The driving time was substantially more than the time at the hospital. Surely there would be a hiccup somewhere in the VA’s program that day, and the only place left for them to mess up was at the finance window. The ninth thing I didn’t see was the finance window, but there was certainly one somewhere. The veterans who have to travel to the VA hospital from outside the area are reimbursed for their travel. 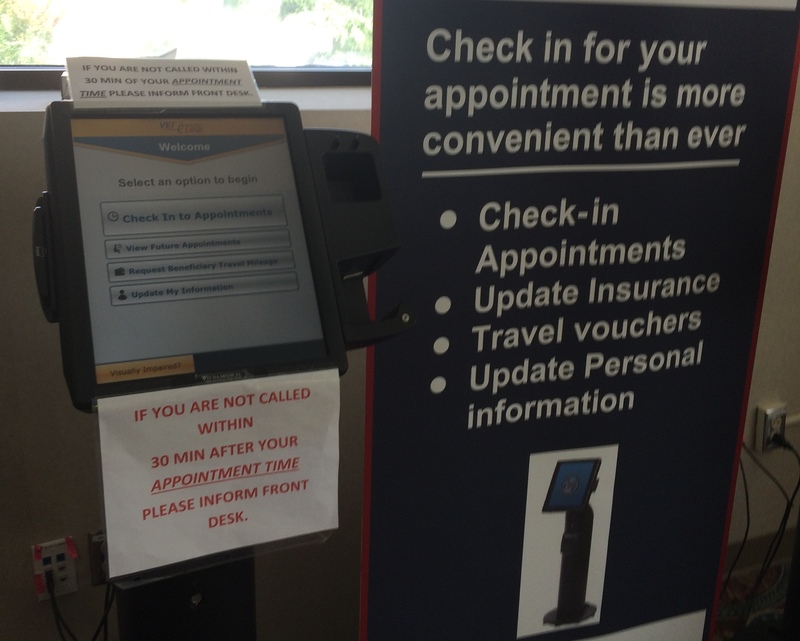 To process that, the VA now has kiosks to process the veterans travel voucher. No forms to fill out or standing in line. The tenth thing I didn’t find was anything to complain about. I had prejudged and presupposed, and was pleased to discover I was wrong. Philippians 4:4-7 (NLT) 4 Always be full of joy in the Lord. I say it again—rejoice! 5 Let everyone see that you are considerate in all you do. Remember, the Lord is coming soon. 6 Don’t worry about anything; instead, pray about everything. Tell God what you need, and thank him for all he has done. 7 Then you will experience God’s peace, which exceeds anything we can understand. His peace will guard your hearts and minds as you live in Christ Jesus. People who care about our Vets work here. 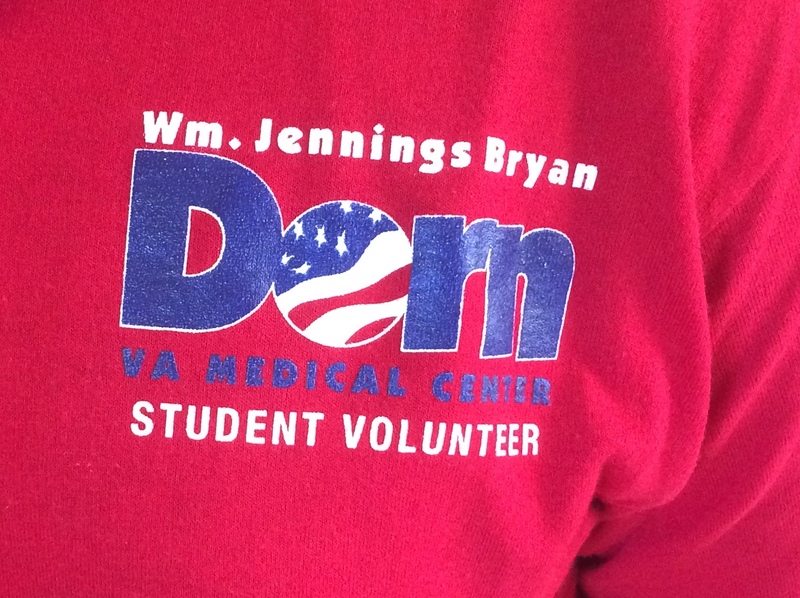 Finally, I wanted to say thanks to the staff and volunteers working at Dorn VA Medical Center. It really was their care and attention that made the VA visit, dare I say it, an enjoyable and blessed time. Ephesians 1:16-18 (NLT) 16 I have not stopped thanking God for you. I pray for you constantly, 17 asking God, the glorious Father of our Lord Jesus Christ, to give you spiritual wisdom and insight so that you might grow in your knowledge of God. 18 I pray that your hearts will be flooded with light so that you can understand the confident hope he has given to those he called—his holy people who are his rich and glorious inheritance. Previous How Did America Get So Morally Divided? Next Love Wins… Which One? – Do You Really Know Love? Reblogged this on Pen Scratches. 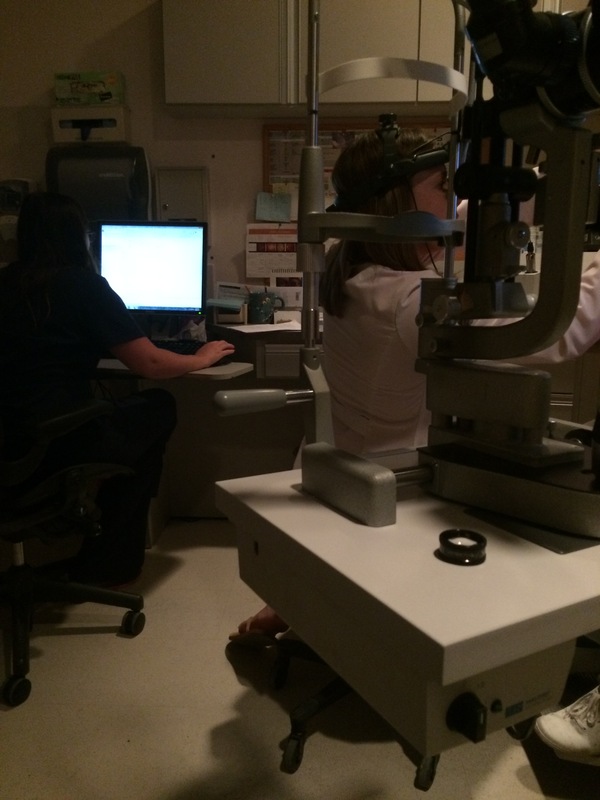 What a great post about your experience taking your friend for an ophthalmology appointment. The va took care of my dad up until he died and did a great job. It breaks my heart to only see negative stories when they do so much good for so many vets. Kathy, thanks, my husband wrote the original blog, I just reblogged it. I was the vet he took to the VA that day. I actually had 3 appointments that were back to back and we were out of there within 30 minutes after the last appointment and never had to wait in a line for anything we did that day, including getting him a new ID card and eating a lunch between appointments. Char can out herself… I left her identity out to make sure she had the choice.